You can sync historical Wootric data to your existing Hubspot contacts. When sending historical data we don't create new contacts in Hubspot, we only set the attributes for the existing ones. 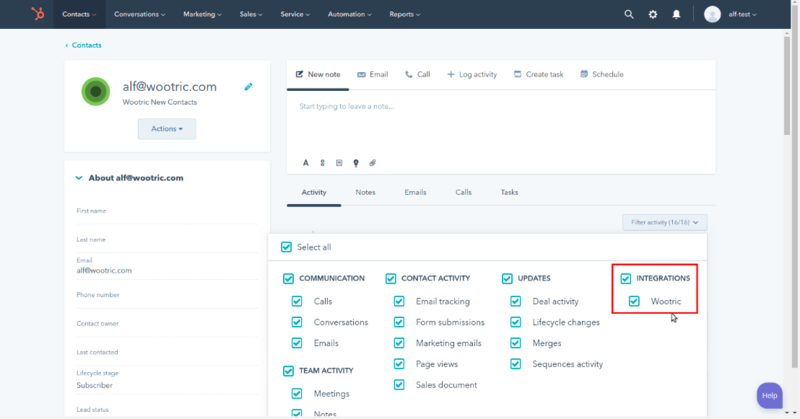 New Hubspot contacts are only created when new responses are received after the Hubspot integration has been configured. To see your Wootric attributes in Hubspot, you have to go to View all properties and then scroll down to the Wootric Survey Data section. New events are created in the activity feed of the contact, for responses that come in after the integration is set up. Hubspot does not show those events by default, so you have to enable them in the "Filter Activity" dropdown at the top of the activity feed.